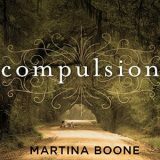 Compulsion by Martina Boone is the first in her Southern Gothic series The Heirs of Watson Island. I was delighted to have the opportunity to review the audio version narrated by Joell A. Jacob. I quickly became swept up in the families, characters and secrets of Watson Island.